In this example we will be making a few assumptions to the setup. 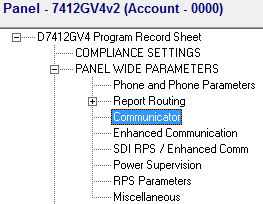 We will assume there is Primary Ethernet Communication to the Panel via a B426 Conettix IP Communicator. We will also assume this path is on the SDI2 bus using Address 1 Path 1, Rotary on the B426 is also set to 1. To set the Address of the B450, using the chart below, address your B450 accordingly by manipulating the Rotary Switch. *For this example we will use SDI2 Address 2 Path 2, we have set our Rotary Switch to 2 on the B450. 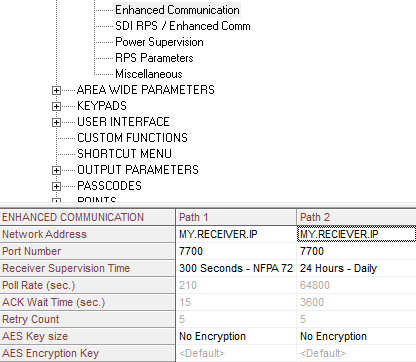 In the Route Group double-click the Secondary Path Device to select the communication path. 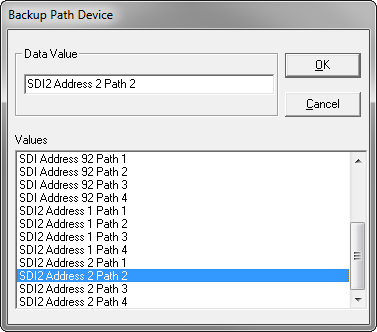 Set your Backup Path Device to SDI2 Address 2 Path 2. *This will need to match your central station receiver’s supervision time to avoid erroneous communication trouble. 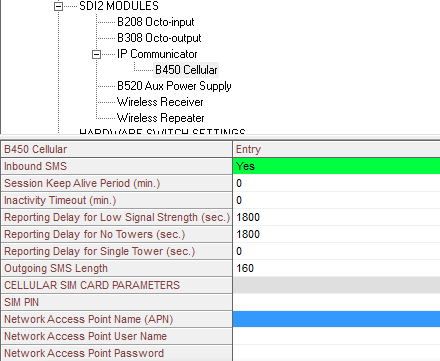 Under SDI2 MODULES, then IP Communicator, click the B450 Cellular. Double-Click the Network Access Point Name (APN) parameter to set a new APN. *In this instance we are using the AT&T APN.